Sometimes, you just need a little help finding the right Mitsubishi pricing near Harvey, LA. It takes some time and effort to get a price that works well for your budget and provides you with everything you need out of a car. But it’s not impossible to find a great price if you know what you’re looking for. You just need to take some time and spend some effort into making it happen. Here are some of the most helpful tips for getting a good price on the next vehicle you buy. Implement them, and you will be finding the right price in no time at all. These days, it’s easier than ever to shop for great Mitsubishi pricing without even leaving the comfort of your own home. You don’t want to have to visit every dealership in the area to get an idea of which place offers you the best price, so you should start your search online. That way, you can see a selection of what several dealerships in the area offer. You may not be able to nail down a specific price (you’ll have to negotiate in person for that), but you can at least get an idea of how much you’ll have to spend when you buy your car. Your credit score is an extremely important part of the car-buying equation. If your credit score isn’t high enough, it’s going to be difficult for you to find the Mitsubishi pricing you need. That’s because the lower your score is, the more you’ll have to pay in interest. You’ll want to avoid that as much as possible, so it’s essential that you improve your score as much as you can before you start shopping for a car. Have you ever thought about buying a used car from a dealership in or near Harvey, LA? If you haven’t, it’s something you should consider now. Used cars are so much less expensive than new ones, and it’s a great way for you to find a reliable vehicle without absolutely breaking the bank. What are you waiting for? If you are looking for amazing Mitsubishi pricing in the local area, you have to make your way to Ray Brandt Mitsubishi. We pride ourselves on providing outstanding customers service to all those we work with. 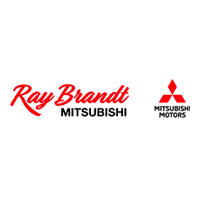 Ray Brandt Mitsubishi	29.9011844, -90.0689651.